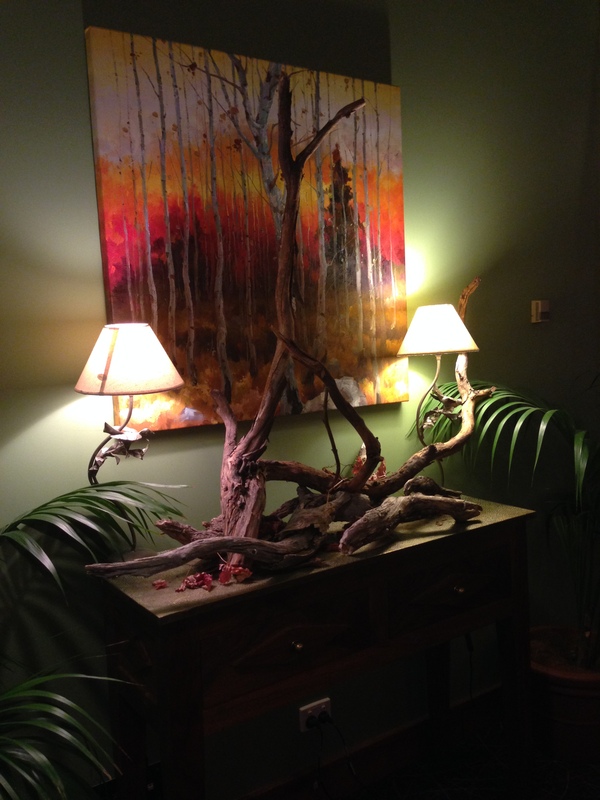 I was lucky enough to score two tickets to the Peppercress Restaurant and Bar’s French night, due to a cancellation. My friend who had travelled back to Australia with her kids, from the Solomon Islands accompanied me. The natural disaster unfolding in Honiara, where she currently resides, made the evening all the more of a special occasion, knowing that she had to eventually return to the disaster area that is her temporary home. 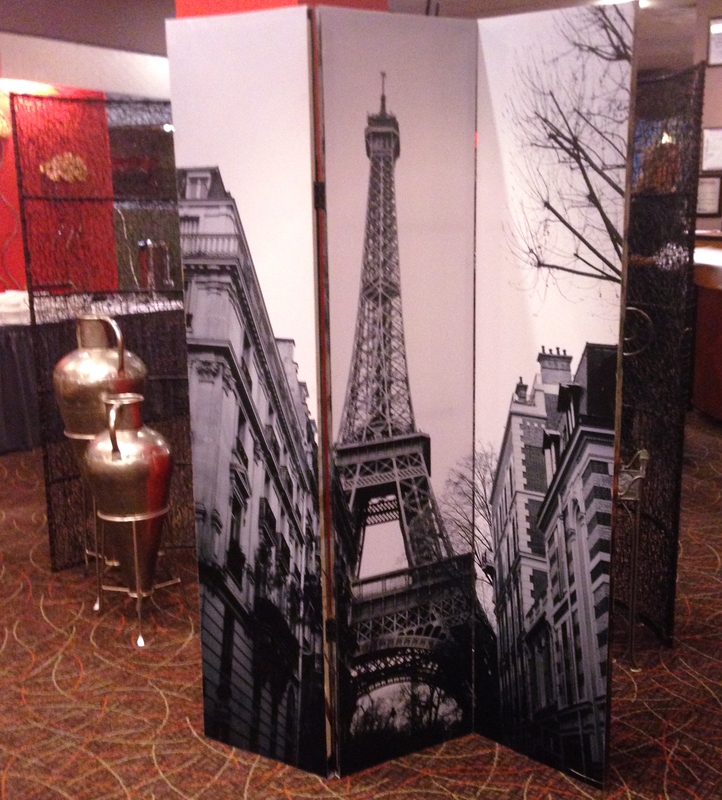 The Canberra Southern Cross Club in Tuggeranong is holding a series of French nights, in their fine dining restaurant, Pepppercress, featuring the different regions of France. This was the first in the series – Normandy. 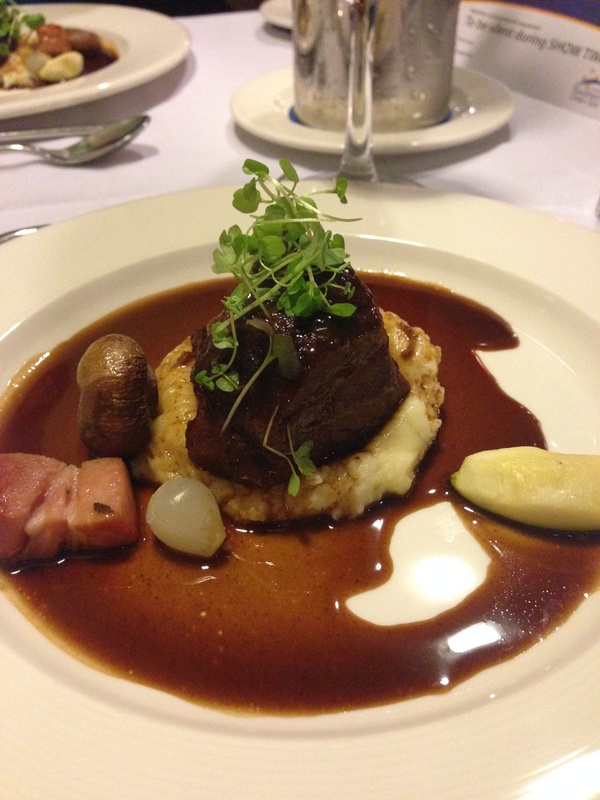 Keep an eye on the website for the next regional dinner in August. 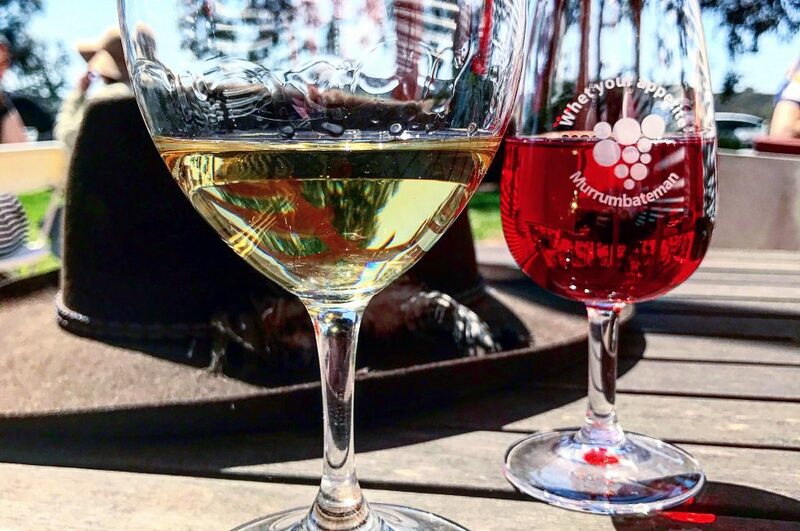 Don’t be too concerned with the long time between dinners, the restaurant also does Wine tasting dinners, where Michelin starred Chef Anruag Gautam matches a selected winery and it’s wines to a six course dinner. In May it’s the Robert Oatley wine dinner. 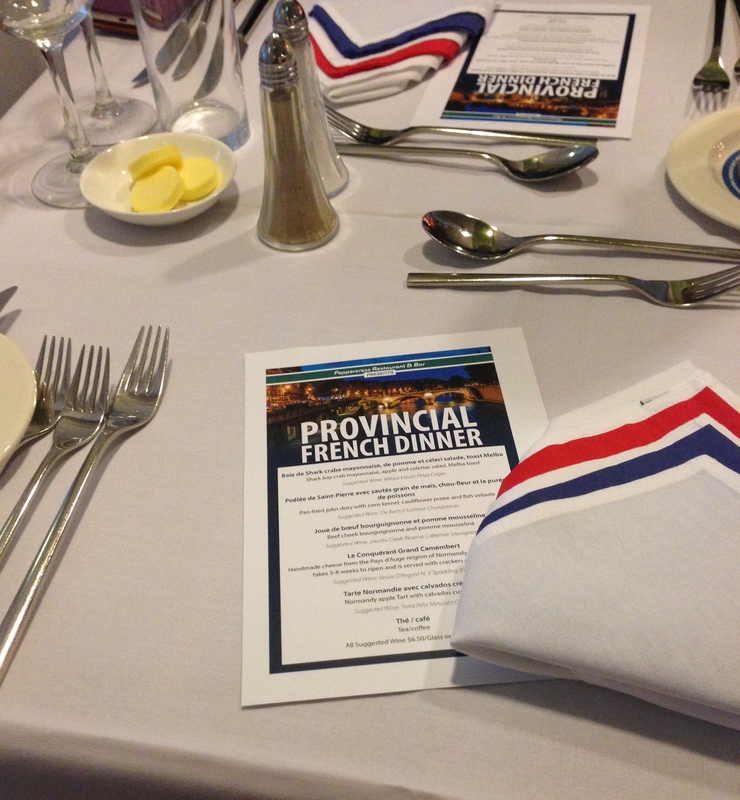 The atmosphere that the club set up for the French evening was lovely and quaint. A pianist played throughout the evening, which was a nice, relaxing change to piped music you normally experience in restaurants. There are some other lovely features in Peppercress which show a lot of thought went into decorating it so the diner experienced a different world to the Club downstairs. This was not another bistro upstairs, but a fine dining experience. 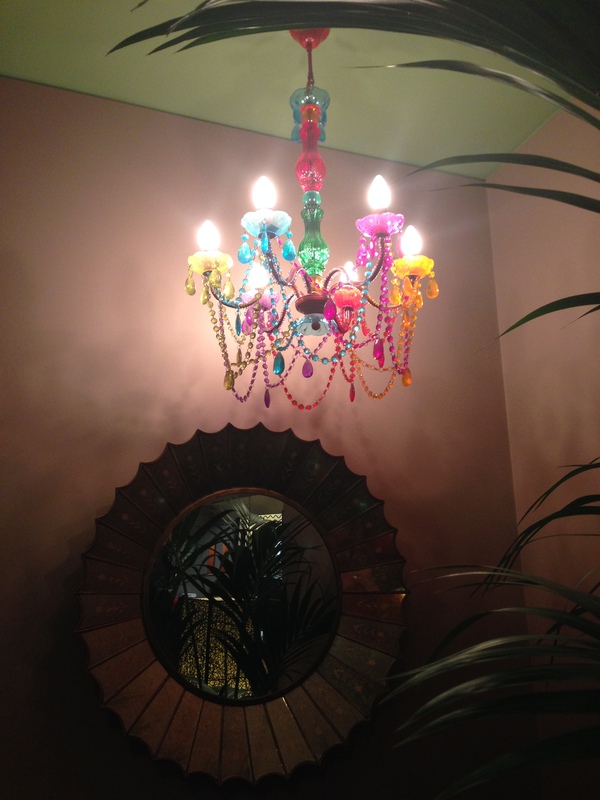 The staff were welcoming and very cheerful, they were quick with the service of meals, attentive when it looked like you needed another drink and unobtrusive when clearing plates. At the end of the evening there was a rush to pay bills, and a mix up with a wine order. The girls dealt with it quietly, politely and with little fuss, so that the customer was able to finalise his incorrect bill happily and they were then left to deal with the remaining customers. These instances can sometimes get out of hand and showed that front of house staff are as good as those in the kitchen. 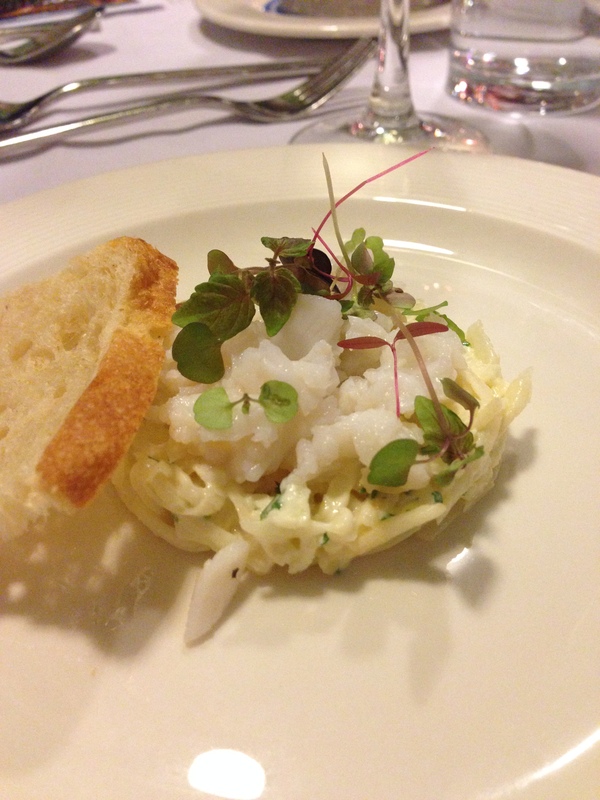 The first course was my absolute favourite of the evening, Baie de Shark crabe mayonnaise, de pomme et celeri salade, toast Mleba. Although this dinner didn’t come with matching wines, at $70 pp, Chef Anurag had suggested wines to go with each course at $6.50 per glass, which I thought was quite reasonable. 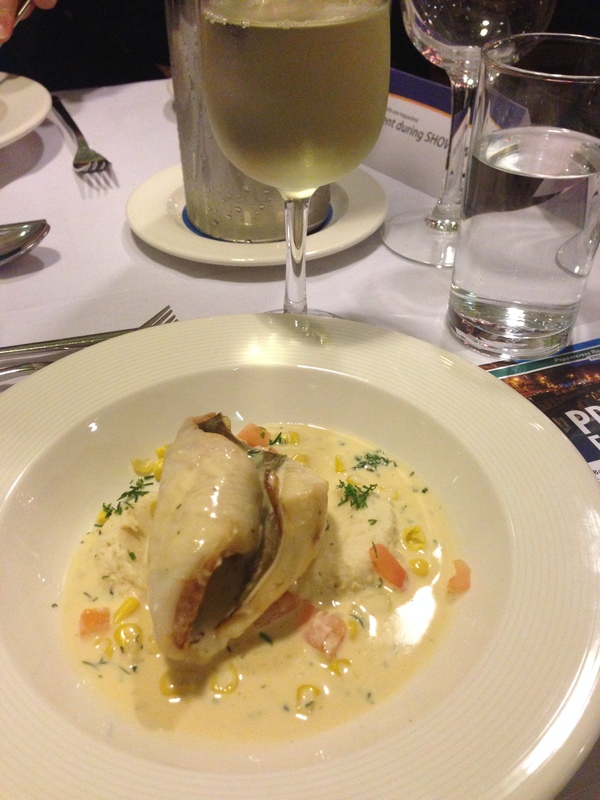 A Killara Pinot Grigio was suggested with the crab. I told the waitress just to bring me the suggested wine with each course, so she didn’t have to ask what I’d like to drink. Easy. Back to the crab. It was divine. It had been cooked perfectly, it was light and crabby and well seasoned. The salad was a light, tangy, sweet addition and went beautifully with the crab. I asked Chef what the acidic component of the dish was, as it wasn’t mustard in the mayonnaise. He’d used cider in the mayonnaise and this added to the lightness and freshness of the mayonnaise, not the usual heavy cloying mayonnaise I’ve had before. It was such a simple dish, but the tart green apple, savoury celeriac and cider mayonnaise and sweet, sweet crab was the standout dish of the night. I wished there was twice the amount on my plate. The second course was Poelee de Saint-Pierre avec sautes grain de mais, choe-fleur et la puree de poissons. On first trying this dish, we were a little thrown. 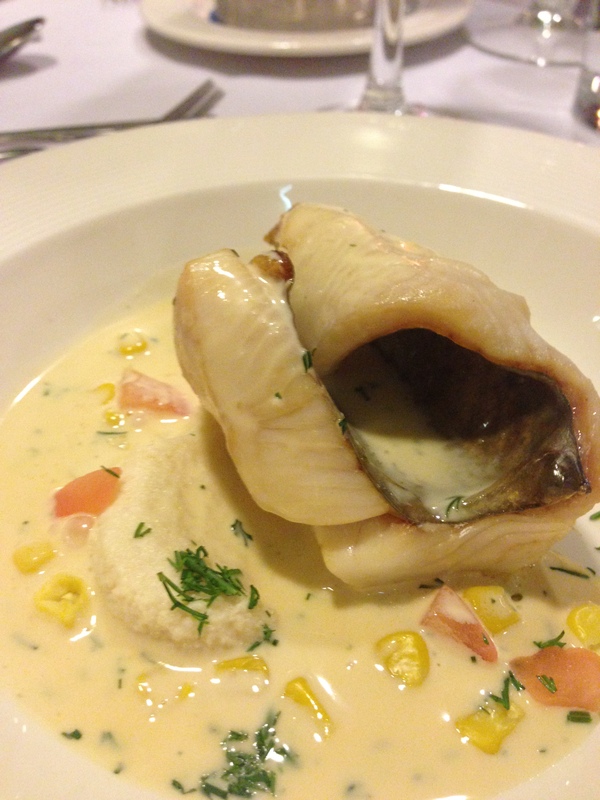 The fish was warm, but the veloute and cauliflower puree were room temperature. We weren’t too sure whether this was intentional. After the first mouthful, though, it didn’t matter. The veloute was sublime. I’d ask for that to be served as a big piping hot bowl with a chunk of white bread on the side, if I could. The fish was cooked perfectly, and flaked well. I did come across two bones, but that certainly didn’t detract from the meal at all. Would it be rude of me to run my finger round the bowl to get every last drop of that sublime veloute? Apparently yes. Oh well. We tried to catch the eye of a waitress to ask for another bread roll, but had no luck. I asked Chef, when he came out at the end of the meal, was the temperature of this dish correct? He assured us that it was, the fish, straight out of the oven from roasting, was supposed to be warm and the other items at room temperature to bring out the flavours. Job well done, I told him. The wine with this dish was Jacobs Creek Reserve Cab Sav. This was a contentious dish. I was comparing the size of my beef with others around me and felt a little jipped. The beef was unctious and slipped apart with a fork. 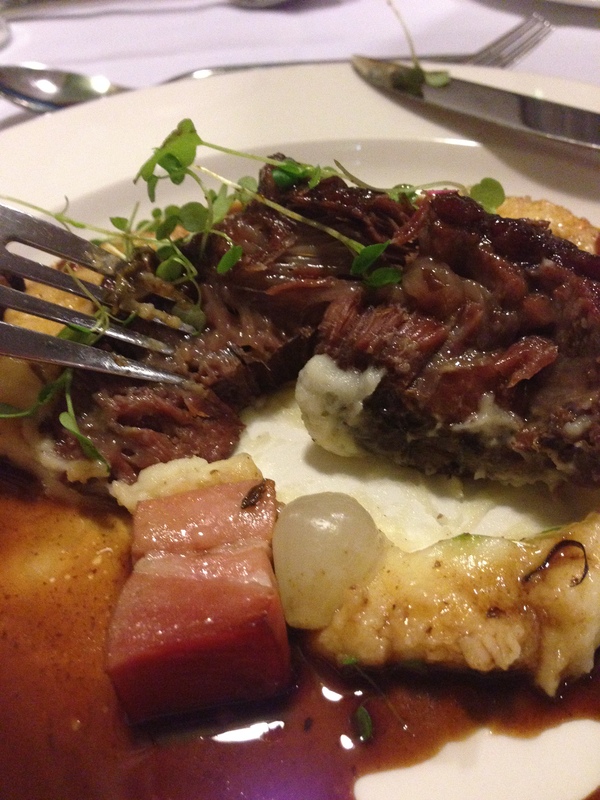 Beef cheek is notoriously difficult to cook. Too early and it’s too gelatinous and sinewy, too late and it’s dry. My beef was cooked to perfection. By the end of it, it was perfectly sized too. I noticed some had left some of their beef on their plate, including my friend, it was just too rich for her to finish, I am a good friend and finished hers for her. The sauce was dark and savoury and delicious, a really rich well seasoned jus, with just enough on the plate to satisfy. A smokey piece of speck, a piece of turned zucchini and fluffy pomme mousseline. The Cab sav was a great match. I thought this cheese, with the suggested wine, Veuve D’Argent N.V Sparkling (France) was the wine match of the evening. The sparkling with the cheese was sweet, almost sultanary and had a haylike smell of fields, the cheese was musky and had a strong Camembert washed rind smell, but was light and smooth on taste. The cheese was sweeter than any camembert I’ve had before, and on room tempertaure was soft and goey top and bottom, but fudgey and stronger in the middle. This is the closest to the raw unpasteurised Grand Camembert from Normandy that we can get in Australia. It’s also the best Grand Camembert from France that we can import. 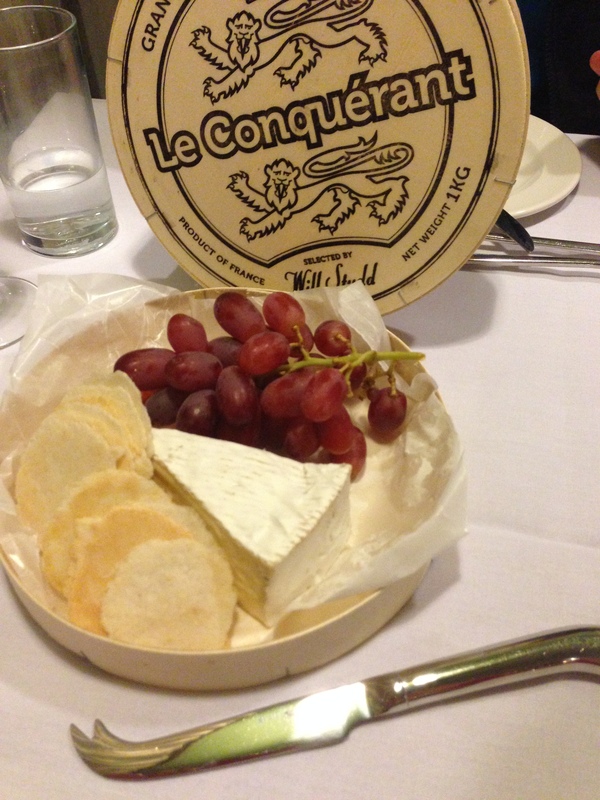 It certainly was one of the best Camembert’s I’ve had. 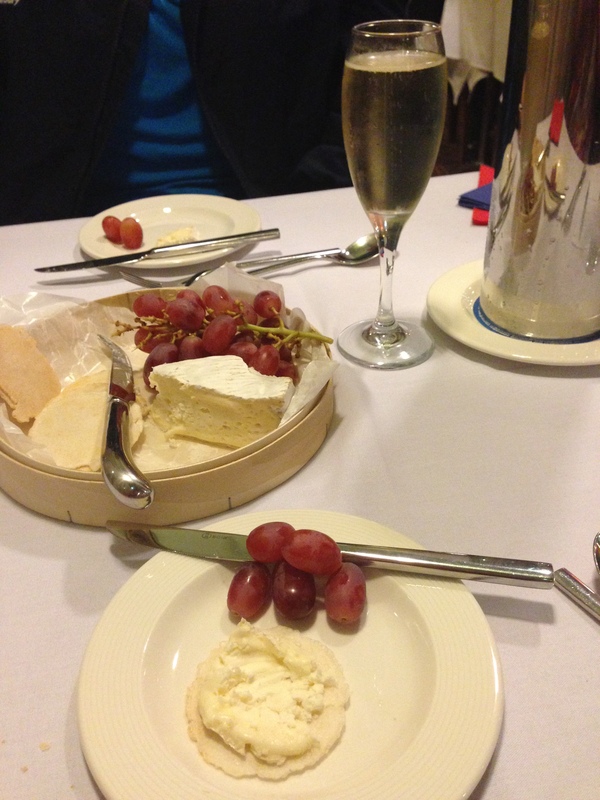 I’ll long remember the taste of this cheese and sparkling wine savoured together. By the time the dessert and 5th course was delivered I was almost done. Almost. I have to say, I’ve never had Calvados before so I was really looking forward to this apple dessert. Tarte Normandie avec calvados creme. 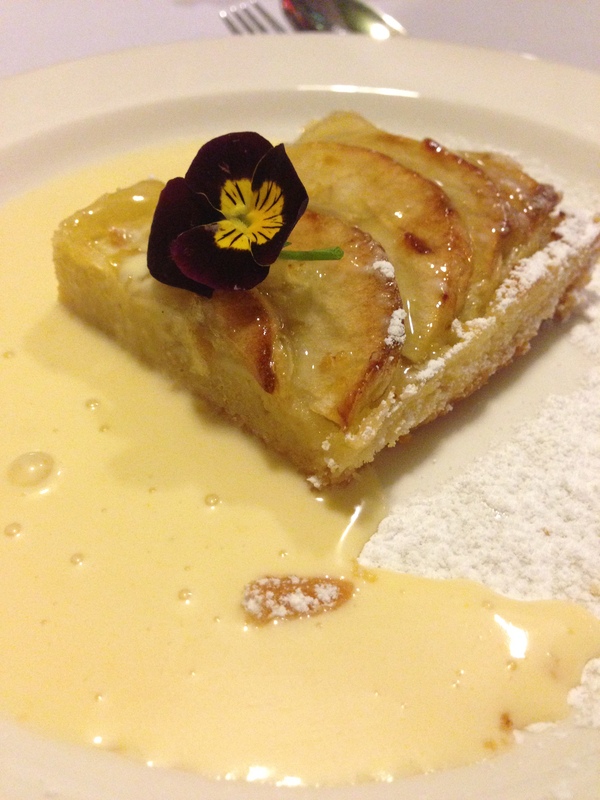 Normandy apple tart with Calvados custard. What a way to end a French dinner. The apples on this tart looked firm, but were so soft and moist. The pastry was light and not too sweet. The Calvados creme was light in flavour and texture and added the sweet to the tangy tart. The suggested wine with this was a Terra Felix Moscato Gold. I’ve had this wine before and enjoyed it. It’s not too sweet, like a lot of Moscato’s, so didn’t add to the sweetness of the dish. It was bubbly and heavier than the sparkling so it went well with the apple tartness and creamy custard. All the elements on the plate complimented each other without it being too sweet or over the top for a final dish. I had to encourage myself to finish it off as I’d reached my limit, but hadn’t gone over, so hats off to the chef and team for a brilliant dinner which highlighted the produce of the Normandy region. What a fantastic evening. I could hear all the platitudes of other diners around me, and many were talking of the next wine dinner. I’m definitely going to the next wine dinner. It was mostly an older crowd, but the food and ambiance would lend itself to any younger foodie out there. 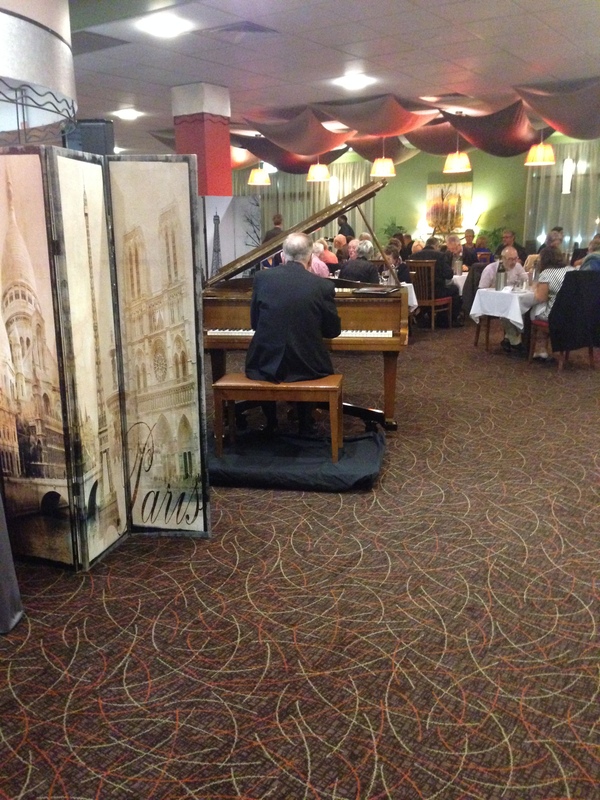 All of this in Tuggeranong, in the Southern Cross Club. looks amazing… sorry I missed it now! We were so lucky to get a cancellation on the day, the night was completely sold out, it was fantastic.